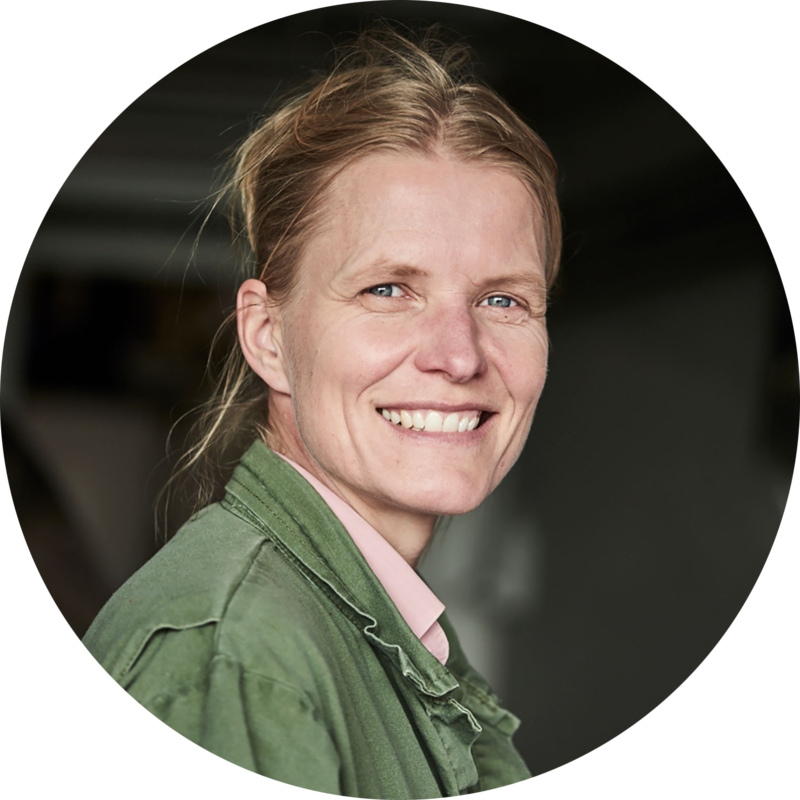 Ingrid van Dixhoorn is looking for signs of reduced immunity in cows and pigs. The research revolves around the health of the animals, which ultimately benefits the market and the economy as well. Dairy cows start their productive lives by becoming pregnant and calving. At that point a lot changes in the cow’s life: her hormone balance changes, she starts producing milk, she moves to a different part of the barn with more cows, and her feeding routine is adjusted. All those changes affect the cow’s immunity, which can result in low energy, and udder and uterine infections. “And those elements reinforce each other too: the diseases are interlinked,” says Ingrid van Dixhoorn of Wageningen Livestock Research. Top left: The cows are thoroughly examined by a vet. Top right: Cows’ behaviour can be monitored 24 hours a day using electronic animal identification. Below left: Central antennae register the position of every cow in the shed. Below right: Activity is measured using a sensor on the front leg. Farmers and vets are inclined to deal with these changes and diseases in cows one by one. Van Dixhoorn takes a holistic view of the cow “while staying down to earth”. She looks for indicators with which to predict the cow’s vulnerability to diseases. In doing so, she tests Wageningen ecologist Marten Scheffer’s concept of ‘tipping points’ between health and sickness in nature. In cow terms: say 20 cows calve and go from being dry to lactating. Many cows are plagued by minor ailments but only a few fall seriously ill. Animal welfare researcher at Wageningen Livestock Research. Research on early signs of reduced immunity in pigs and cows. Ingrid van Dixhoorn works on this research together with a team of scientists from Wageningen University & Research, Radboud UMC, VKON, Nedap, Relitech, Farm Result and Crumelhaeve on issues related to a sustainable green environment, plants, food and biobased products, the economy and sustainable livestock farming. Dixhoorn wants to know what the tipping point between health and disease in the cow is, and whether you can see it coming. Using sensors on the cows and in the dairy barn, Van Dixhoorn looked for signs of raised vulnerability, and she has found two. Firstly, cows with a regular diurnal rhythm before calving are less at risk of disease in the first weeks after calving than cows that walk, feed and rest at irregular times. Secondly, cows have to feed a lot in that period to keep up their energy levels. Cows that feed well before calving and have fixed feeding times after calving are the healthiest. So they thrive on routine. Van Dixhoorn is going to expand the study to four dairy farms. Vets will assess the risk factors on the farm, looking at the population in the barn (a full barn means more competition and stress among the cows), the barn climate, the feed, the breed (the genetics), drug use and other aspects of management. The cows’ blood will be tested too. A resilience score for each farm will be obtained, and that score may be integrated into the ‘cow compass’ that already advises farmers on the wellbeing, health and management of their livestock. The interaction between pressure and resilience in animals came up two years ago in Van Dixhoorn’s pig research[CM1] . She compared two groups of pigs from birth. One of the groups lived in an enriched pen with plenty of space, a rooting bin, plenty of straw and sacking. The other group were in a more crowded but bare shed. Then both groups of pigs were infected with a virus and a bacterium. The result: the pigs in the enriched shed became just as ill as the other pigs, but fought off the virus faster. They also had less pus on their lungs and lower temperatures, signs of higher resilience. “The differences were really significant,” stresses Van Dixhoorn. She is now doing further research, partly to find out whether the raised immunity of the one group of pigs develops at birth or at a later stage. “We saw the piglets in the enriched shed start rooting straightaway. They were much dirtier but also stronger.” She is also combing the research data for differences between pigs in enriched and in standard environments. “The weights and growth rates of the two groups were the same. But the pigs in the enriched shed had more white blood cells even before they got infected. Now we want to know how the pigs get more white blood cells.” Van Dixhoorn also plans to study video images of the pigs to see whether they exhibit behaviour that reflects their resilience. 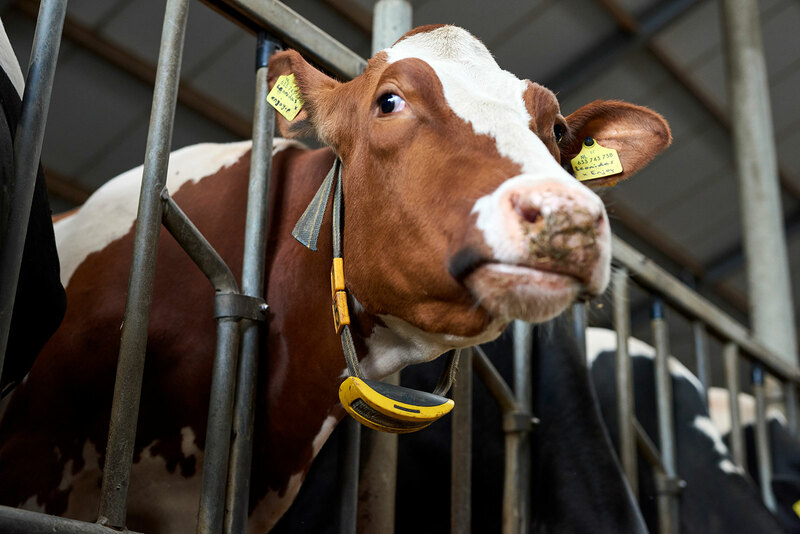 During their dry period, the cows are fitted with a collar with a ‘feeding sensor’ that can measure chewing and feeding time. The pig research ends this year, the cow research in 2019. If there is enough interest and funding, Van Dixhoorn would like to do further research in order to extract guidelines for action for dairy and pig farmers. She is not at this stage concerned with the market and the economy.